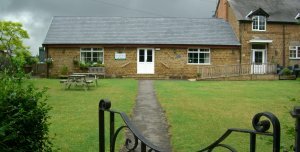 Braunston Village Hall is situated in a delightful setting in the middle of the village. The hall has wonderful facilities for hire which include a large hall and kitchen suitable for parties, sports clubs, fitness classes, children's parties and weddings. Additionally, we have a small meeting room complete with its own kitchenette which is a great venue for business meetings and small get-togethers. Free fast wifi is available throughout the hall. In front of the hall is a beautiful enclosed garden which makes a perfect setting for summer parties. The village hall has its own website where you can find full details of all that we can offer, and how to make a booking.